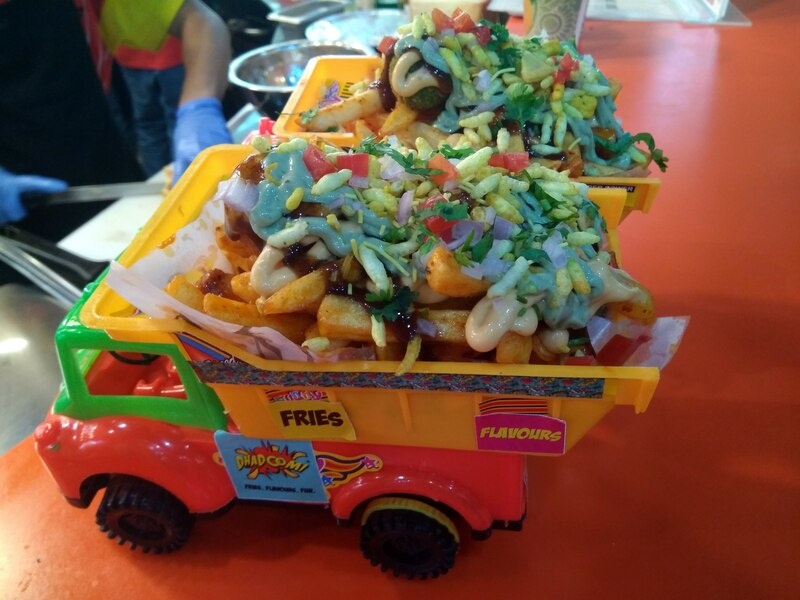 Restaurant Franchise Management Company Yellow Tie Hospitality has launched “Dhadoom – Fries.Flavours.Fun” co-owned by well-known chef and television host Harpal Singh Sokhi. 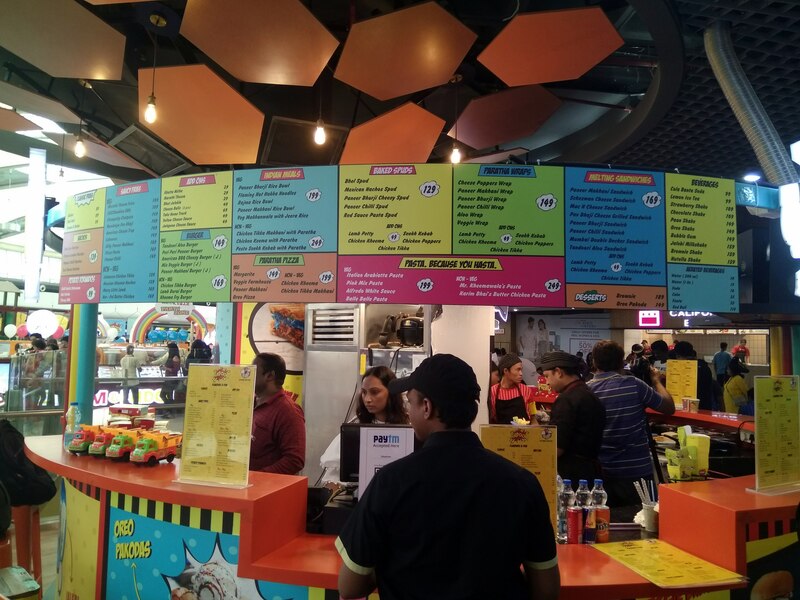 The decor of the small outlet is impossible to miss courtesy its bright colours that are inspired by both Indian and international comic bestsellers so you have a riot of yellow, blue, orange and red. Yellow Tie Hospitality incidentally plans to launch 50 Dhadoom stores by 2018 and hopes to invest 12 crores in the next 18 months to expand the brand. 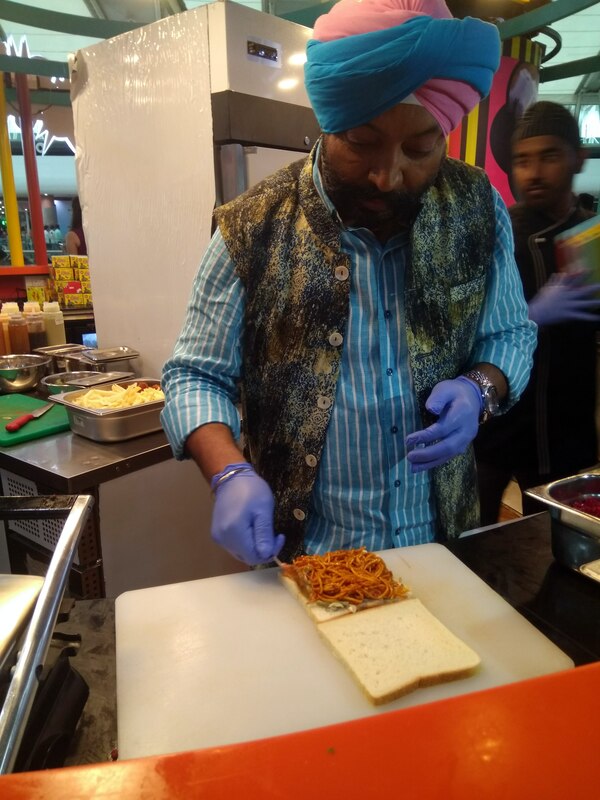 I spoke to Chef Harpal who shared some thoughts in an exclusive conversation. Many years back when I visited a restaurant in Canada I was quite surprised to see that they had a full house selling Poutine or French fries topped with various kinds of flavours. When I tasted this I liked it and thought of bringing this concept to India with toppings that we can relate to whether it is Butter Chicken, Chilli Paneer or Chicken Tikka. All the food was about French fries and potatoes and India’s love for potatoes is well known. So we worked out a menu and have replaced carbohydrates with potatoes in all the dishes we serve. Also we decided to have a broad based menu including pizza, pasta, pav bhaji and desserts too as Indians eat as a family so we wanted a holistic option. Food is my life, it means everything to me. Tell us about your next television show? 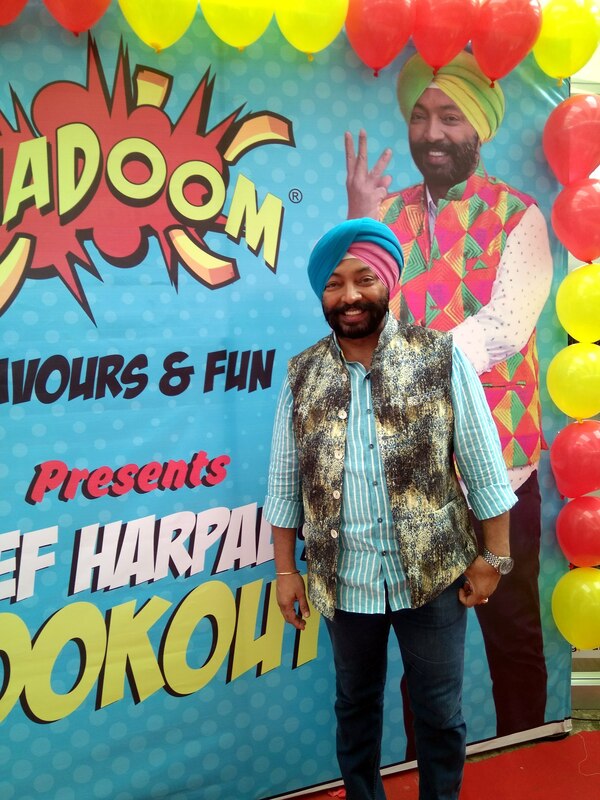 I have been doing many shows including Turban Tadka on television. My new show has just started and it is called Desh Ka Swaad Season 3 and it is all about food, travel and happiness. In this show I drive a food truck to a destination and learn to cook something local in a home and then adapt the same and make a recipe in the truck. It airs on Zee News and Zee Business. Hopefully there are many more restaurants across different concepts. I have had a good association with Yellow Tie Hospitality which should continue to do more in future. Am looking at QSR restaurants, Desi Chinese and Bar concepts as well. I also have Twist of Tadka inspired by the royal recipes of India. We also have a cookware brand called Happy Chef that is doing quite well and we are hoping we are able to grow the brand bigger and better.